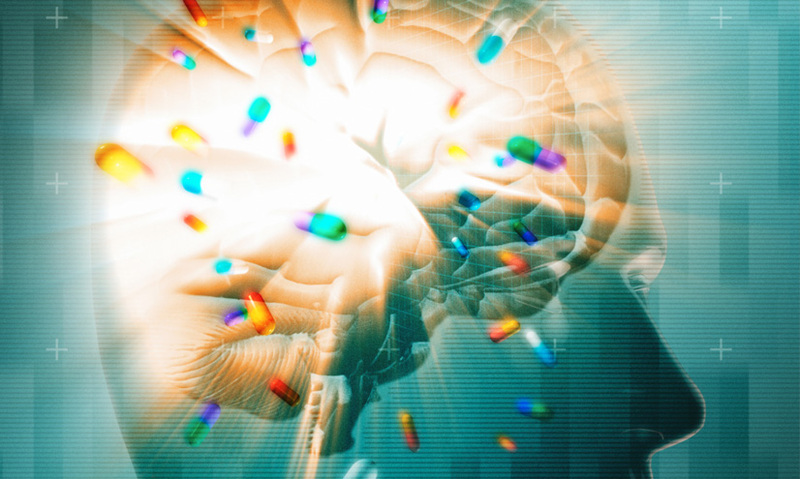 Explore the variety of effects of different types of psychoactive drugs - from stimulants to depressants - on the brain's chemistry and function. Drugs that affect the brain in a way that alters our emotions, behaviour or consciousness are said to be psychoactive. There are three main categories of psychoactive drugs: stimulants, depressants and hallucinogens. Some drugs can make you feel more energetic, while others decrease your emotions or make you see things that don't exist. Drugs can be very dangerous: they can distort reality and often lead to harmful addiction. When a drug affects the brain in a way that alters our emotions, behaviour or consciousness, it's said to be psychoactive. Psychoactive drugs mimic or disrupt natural chemicals in our brains called neurotransmitters. These are the vital chemical messengers that transfer signals across the gap between nerve cells.